The final weekend of the National Cherry Blossom Festival, International Monetary Fund meetings and other events could snarl traffic downtown again this weekend, which could make Metro one of the smoothest ways to get around. This is the last weekend of Metro’s break for spring tourist season from the regular significant weekend track work. There is limited single tracking after 10 p.m. Friday, Saturday and Sunday on the Blue, Silver, Green and Red lines. Next weekend, regular single tracking and shutdowns return. 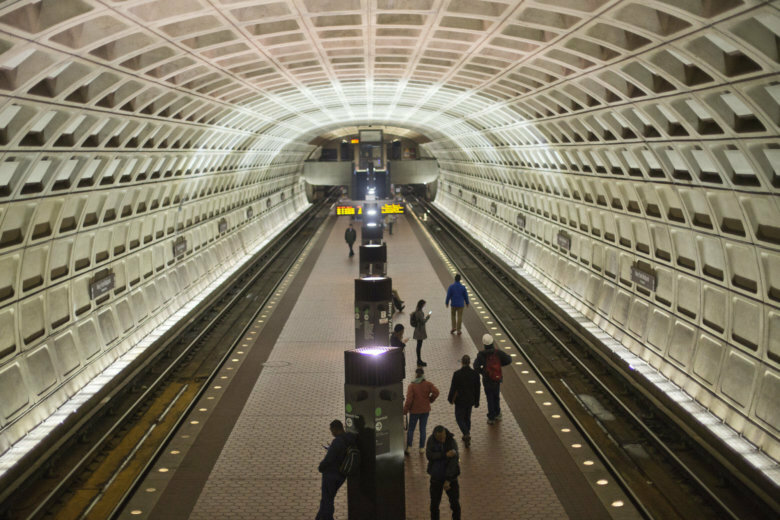 In addition to Metro, MARC trains are an option for visitors from Maryland. While trains only run on the Penn Line on weekends, last weekend the train system added an extra Penn Line train to D.C. in the morning and to Baltimore in the evening at the last minute because of the extremely high ridership. On Friday, the IMF-World Bank Group 2019 spring meeting creates road closures and commuter bus stop changes in the Foggy Bottom area. Starting at 7 p.m. Friday, the 59th Annual Sakura Matsuri Japanese Street Festival closes Pennsylvania and Constitution Avenues between 3rd and 7th Streets Northwest as well as parts of 4th and 6th Streets Northwest. The festival is scheduled from 10:30 a.m. to 6 p.m. Saturday, so roads are due to reopen after cleanup around midnight. Also on Saturday, the National Cherry Blossom Festival Parade is scheduled to run down Constitution Avenue Northwest between 9th and 15th streets from 10 a.m. to noon. Actor Anthony Anderson is the honorary grand marshal. During the parade, much of Constitution Avenue Northwest will be closed from near 7th to near the Lincoln Memorial. Some additional closures are planned for 7th across the National Mall earlier in the morning for staging areas. Saturday afternoon, the District marks Emancipation Day with a parade, concert and fireworks at Freedom Plaza. That parade is scheduled for 2 p.m. along Pennsylvania Avenue between 10th and 14th Streets Northwest. It is followed by a concert that starts at 3 p.m. and fireworks later on. Performers include Faith Evans, MYA and Doug E. Fresh. Game 2 of the Capitals’ playoff series against the Carolina Hurricanes is not far away, starting at 3 p.m. Saturday. The Washington Nationals also host the Pittsburgh Pirates Friday night at 7:05 p.m., Saturday at 4:05 p.m. and Sunday at 1:35 p.m. Among other events that close roads across the region this weekend: the Arlington Festival of the Arts closes part of westbound Washington Boulevard and other roads in Clarendon, a 5K for Bishop O’Connell closes part of Williamsburg Boulevard and Little Falls Road in Arlington Saturday morning, and there are smaller road closures around Arlington Palooza at Alcova Heights Park. There are also a number of construction-related lane closures from Interstate 95 in Virginia to the Baltimore Beltway in Maryland.